In the Merchant, we find ourselves in Venice. A Venice, where Christians rule and Jews get to have the leftovers, basically... I can't be sure whether Shakespeare really felt this way, or whether he mocked Jews to please his audience, but I'll say this - he did not make it easy for them. I appreciate the fact that he presented all the negligence, the "second class citizen" attitude and the abuse Jews at the time went through - I felt really revolted by the Christians! The whole affair of the loan that Bassanio has to get to present himself to Portia I found slightly exaggerated - even in those days, how could anyone (Antonio) sign a loan with the Jew Shylock for a pound of his own flesh? Portia and Nerissa: to a lesser extent, I can't buy the whole "we dress like men and we'll show them". Again, I may be prejudiced living today, but on the other hand I didn't understand the story with the ring Bassanio was not to let go - over his dead body??? A little too romantic in a play that is not! I am a Jew. Hath not a Jew eyes? ... warmed and cooled by the same winter and summer as a Christian is? ...if you wrong us shall we not revenge? If we are like you in the rest, we will resemble you in that. If a Jew wrong a Christian, what is his humility? Revenge. If a Christian wrong a Jew, what should his sufferance be by Christian example? Why, revenge. The villainy you teach me I will execute, and it shall go hard but I will better the instruction. You have among you many a purchased slave which, like your asses and your dogs and mules, you use in abject and in slavish parts because you bought them. Shall I say to you ’Let them be free, marry them to your heirs. Why sweat they under burdens?’ ... You will answer ’The slaves are ours.’ So do I answer you. The pound of flesh which I demand of himIs dearly bought. ‘Tis mine, and I will have it. Venetians 0, Shylock 2. Again, the superficiality that runs through the established class makes itself visible. Ask others for mercy, when they themselves are devoid of it? I read about a story of somebody who actually felt angery after watching the play on stage. I think his reaction is really understandable, considering the injustice Shylock must face in the play. I don't like the way he treats Antonio, but I don't like the way people treat Shylock in court as well. Moreover, I strongly disagree with Antonio's converting Shylock into Christianity. But somehow I still like the play. I can't explain why, but it's one of my Shakespeare favourite. I'm still processing the whole play, trying to take into account his other ones. Is it good because it's so mean? I never read it but saw the play when I was in high school. It had really bothered me then, but as a teenager I was even more revolted by injustice than I am now. But I agree that there's no way anyone would I have signed for such a loan. We saw this play performed in the new Globe Theatre in London in 2007. Both of us had studied it at school and liked it for it's ability to elicit strong, powerful feelings. Seeing it performed in the space it was created for made me realise how much Shakespeare went for the crude joke, the double entendre and the obvious stereotype....this made it easier for him to tell the story as half the story occured in the audience assumptions. maybe I'll see it acted out then... Perhaps reading it had a more profound effect on me, as I read everything literally! Patty, I think Shakespeare actually deals with Shylock as gently as anyone of his time could/would do so. Jews have been despised through history, and our despising that fact cannot really change history. On closer look at the play, Shakespeare is actually dealing kindly with Shylock, in portraying things this way. Antonio's reaction was typical of the day toward a Jew. And the common spectator would have laughed with glee at Shylock's misfortunes. However, I think, a more subtle spectator would have sympathised, along with Shakespeare, with the Jew. I wish I could prove this point with quotes, but I haven't a copy to hand, and I wouldn't readily find a quote unless I read through it completely. But, I've studied it twice in college and I recall that most of us in class were not left in doubt of Shakespeare's being sympathetic of Shylock and his lot. I don't know if you have read Scott's Ivanhoe, but you will see pretty much the same treatment of Jews there as you see in Merchant of Venice. Again, the treatment of the Jewish characters is not because of the writer's attitude towards them but because of his representing and era in which Jews were treated that way. You will find, on reading Ivanhoe, that Scott's heart goes out to the Jews even though the hearts of the non-Jewish characters don't. 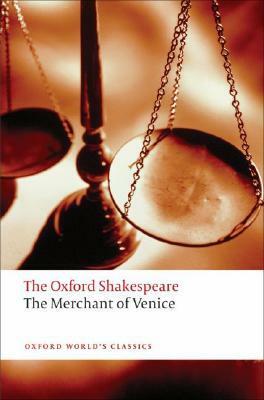 And that's pretty much the same case with The Merchant of Venice. This is what I'm keeping in mind - I know what the social norms of that era were like and what could be said. You've given me a good way to see the subject from a different perspective: if a different author encounters the same situation, maybe I'll see their way of dealing with it. Thanks for the tip! I have a really hard time dealing with stuff like this in books written/set when times were different. I can't seem to allow for the different times. I haven't read this play, but this kind of thing happens in loads of books, the treatment of Native American Indians really bothered me in The Little House on the Prairie, for example. And I wonder why Merchant of Venice is rated as comedy? It's more tragedy to me. I hated Antonio too, it's quite impossible that a businessman with his reputation can fall into trap by Shylock, and was so hopeless for that. But I quite enjoyed the Portia's scene as a judge.